Jewelry Repair Austin, Round Rock, Cedar Park, Lakeway, Leander & More! | Hilderbrand Jewelers - Jewelry Stores Austin, Cedar Park, Lakeway Gold Buyers! Jewelry Repair Austin, Round Rock, Cedar Park, Lakeway, Leander & More! LOOKING FOR JEWELRY REPAIR AUSTIN, CEDAR PARK, ROUND ROCK, LAKEWAY, LEANDER, GEORGETOWN AND OTHER NEARBY AREAS? Need Jewelry Repair? Austin area residents looking to get their valuable jewelry and watches repaired should stop at Hilderbrand Jewelers. 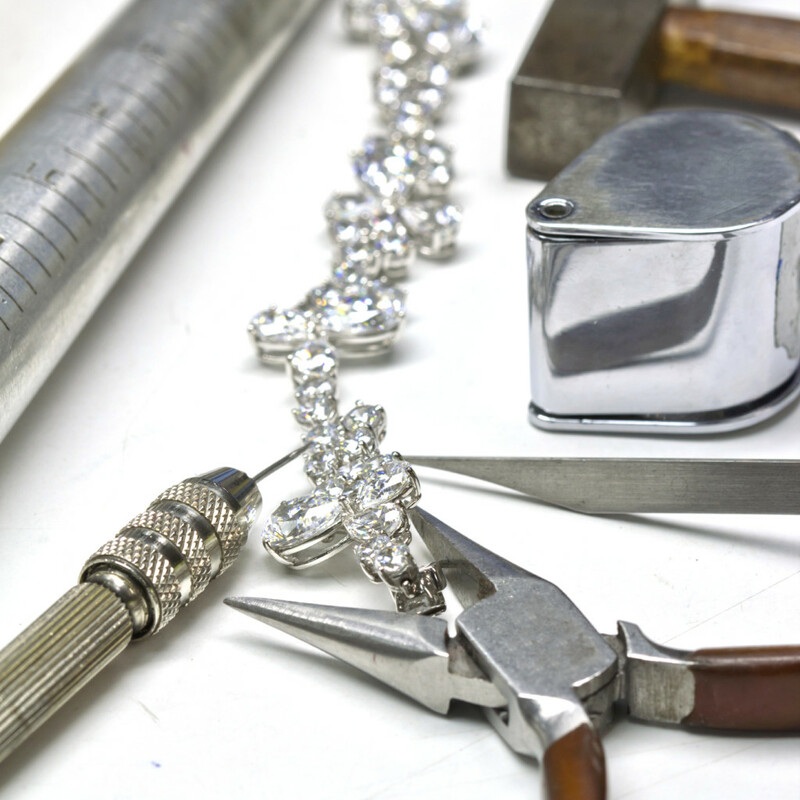 We fix jewelry of all kinds fast and get the job done right. Our highly skilled Jewelers have many years of experience, training, and passion for fixing your precious jewelry and watches. Austin, Cedar Park, Round Rock, Lakeway and Georgetown residents are encouraged to contact us about any repairs or stop by our conveniently located jewelry store on 620 N. just across from Concordia University. Our onsite jewelry repairs include but are not limited to ring sizing, jewelry cleaning and polishing, rhodium plating, resetting stones, jewelry repair, watch repair and more. Hilderbrand Jewelers stands behind all of our jewelry repairs. If your jewelry is in need of repair, bring it by our store and one of our experienced Jewelers will inspect your jewelry and let you know right away what needs to be done. And since we actually are jewelers your valuable jewelry never leaves our store. Let us show you the craftsmanship and quality that goes into each repair. It is suggested that you service your watches periodically for optimal performance. We are here to make this important process easy for you. Our trained experts look forward to assisting you with the service of your next timepiece. In house Jewelry Repair in Austin. Hilderbrand Jewelers can work on any item you own; from costume jewelry and sterling silver, to platinum, 10k gold, 14k gold, and 18k gold–we work on everything, often while you wait. Whether you need ring sizings, chain soldering, diamond and gemstone replacement or rhodium plating for your white gold pieces, everything is completed in a professional and timely manner. And… If for some reason your jewelry is beyond repair, we buy gold, silver, platinum, diamond jewelry and watches too. Come see us today!